"Spring's Fling" by Sherry Derr-Wille:When Spring Morrison asks the Easter Bunny for a perfect man, she has no idea that her mother will use the opportunity to play matchmaker with Wade Parker. Does mother know best? "Summer's Challenge" by Luanna Rugh: Summer Woods is starting a new life with a new identity. Can Officer Nathan Lockhart protect her from her past while he’s falling in love with her? "Autumn's Blessing" by Christie Shary:Young and pregnant widow Deidre feels her life is over until she becomes the patient of Dr. Jeremy Saunders. Can he help her let go of the hurts and burdens that weigh her down and embrace life again? 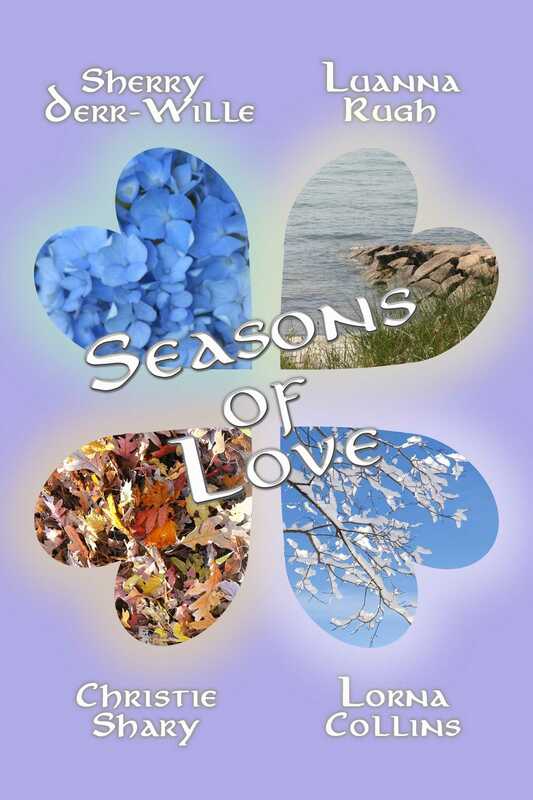 "Winter Song" by Lorna Collins:To Dan Jensen, life seems hopeless. But when he gets railroaded into performing in a Christmas musical, a lovely young woman named Amy Roberts provides more than musical assistance. She brings hope and the promise of a new life.